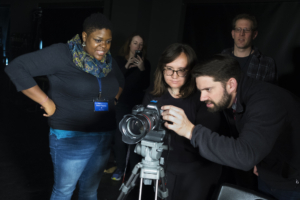 Apply for the 2019 Short Doc Workshop. Spend 76 hours learning to tell documentary stories in video and multimedia. Work with Penn State alumni who are professionals in the field of journalism and film. Come to the interest meeting on November 13th. 7:00. In the Carnegie Cinema to learn more.